This grand home, originally built in 1999, represents the idea of a true forever family home. From the picturesque landscaped yard to the newly renovated outdoor cookhouse to the redesigned attic space, everything about this home signifies elegance mixed with the comforts and demands of the life of a busy, growing family. 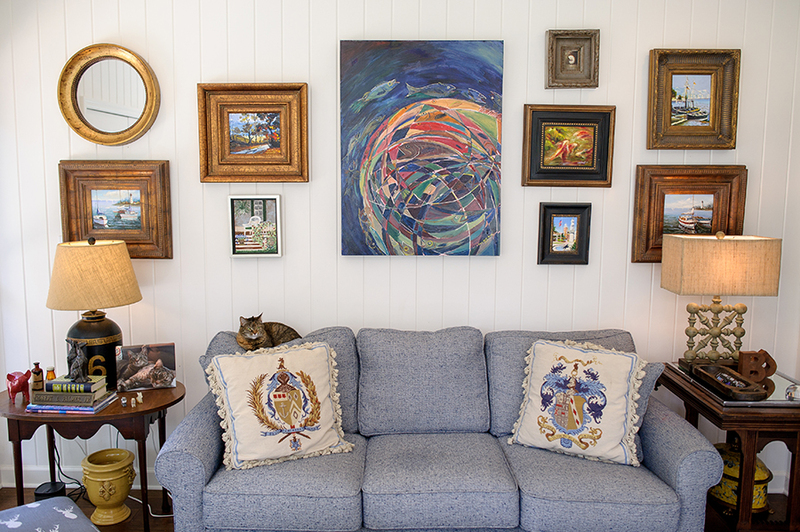 The exceptional balance between formal and personal touches can be seen throughout the welcoming home of Dr. and Mrs. Aric Aldridge. A true Bainbridge architectural treasure was originally built in 1923, by Dr. Robert E. Wheat and purchased by Mr. and Mrs. Rueben Reynolds, Jr. in 1970. The elegant and timeless two-story structure presently remains in the Reynolds family, and extensive restorations were made in 2014 - 2015. The current residents and cousin of the Reynolds sons, Mr. and Mrs. Maston Griffin, are devoted to maintaining the historical grace of the home and the gorgeous rose gardens located on the property. Come and visit Lake Place.Nestled in a quiet and secluded gated neighborhood community, this charming home was designed by Brandon Ingram and furnished with interior pieces provided by John Griffin - both Bainbridge sons. The home was built in 2007, and was purchased in 2016, by the current residents, Mr. and Mrs. Mickey Shiver who have made Bainbridge their home after thirty-six years of “sharing the magic” of Walt Disney World. Pointe East, a private cul-de-sac townhome community, is one of Bainbridge’s true tucked away gems. Originally constructed in 1994, this end unit underwent extensive renovations in 2016. Don’t miss seeing the distinctive style Chippendale front door, the reconfiguration of the master suite, and the world-gathered art work displayed in the newly paneled sunroom. Designer finishing touches exude throughout the condo that reflect the exquisite taste of the owner, Mr. Blaine Palmer. Don't miss the next tour of homes coming December of 2019.